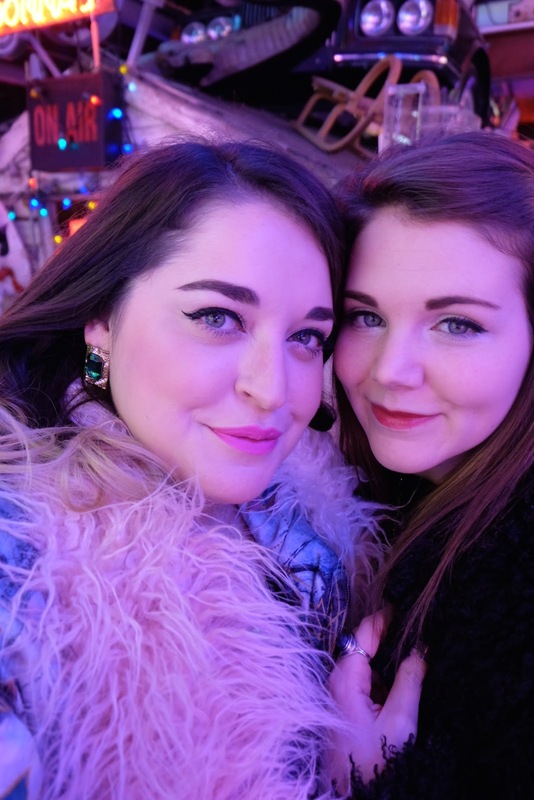 A few weeks ago, Callie and I headed to All Star Lanes in Holborn for a Barry M beauty event. The event focused on Barry M's Quick Dry Speedy Nails range and the venue was very fitting. The event itself was held in their private bowling room which included a bar and seating area but after the event we treated ourselves to a meal in the main restaurant. I've been to All Star Lanes a few times and I always have a splendid time there. I've been there to bowl with my pals and to sip cocktails on a date but this was my first time eating there and I wasn't disappointed. Callie and I both fancied something naughty to eat and drink and All Star Lanes definitely has some very naughty but nice things on the menu! I picked a Lemonade Float and Callie got a Coke Float and there's something really nostalgic about these kind of drinks. I love scooping the frothy ice-cream off the top and I love how the ice cream makes the lemonade all creamy. I didn't fancy a starter as I knew the main would be hearty and thank god I didn't get one because my Buttermilk Fried Chicken Burger was huge and insanely nice! The burger has lime and chilli slaw in it and a chipotle mayo which I didn't fancy as there's something about chipotle that I don't like. There are lots of sides to choose from but I went with sweet potato fries which are my fave. Cal and I shared a pudding and although I prefer savoury food, I LOVED the dessert. 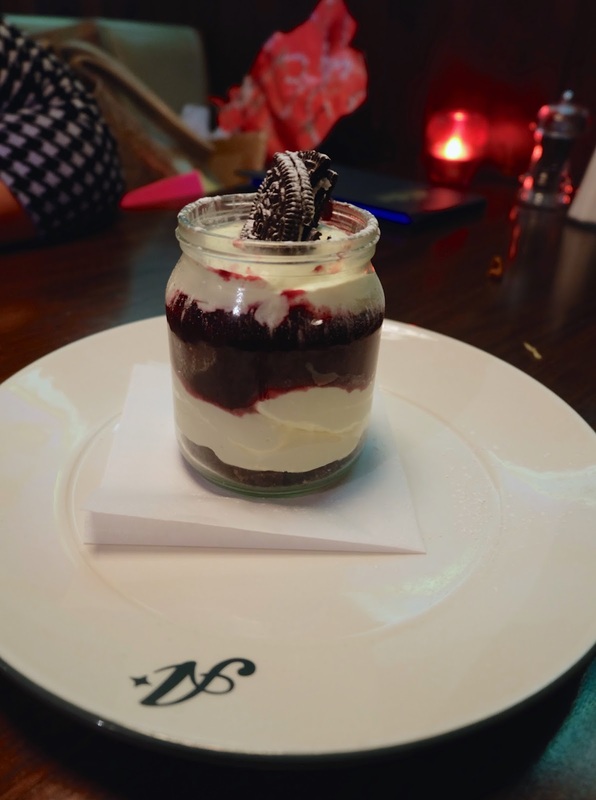 We got the Blueberry Cheesecake Jar which is topped with crumbled Oreo biscuit. OMG it was so good! All the mains are well priced, well below £20 (apart from the whole lobster which is £27.50) and even if you don't fancy going for a bowl, if you want some american style munch - I'd highly recommend going there for a meal. I like to be quite playful with my style and when I'm looking online the fun, naive accessories always seem to stand out. I love novelty bags and glitzy costume jewellery and I like that as the weather warms up; the shops seem to start stocking lots of fun goodies. The good thing about accessories are that you can swap and change them and they don't cost the earth so you can switch up your style from day to day and you won't break the bank. Here are eight different treats I want to own this April. Click on the item you like and it'll take you directly to the correct website. Happy accessorising! Something I thought I'd feature more of here was lifestyle type posts. 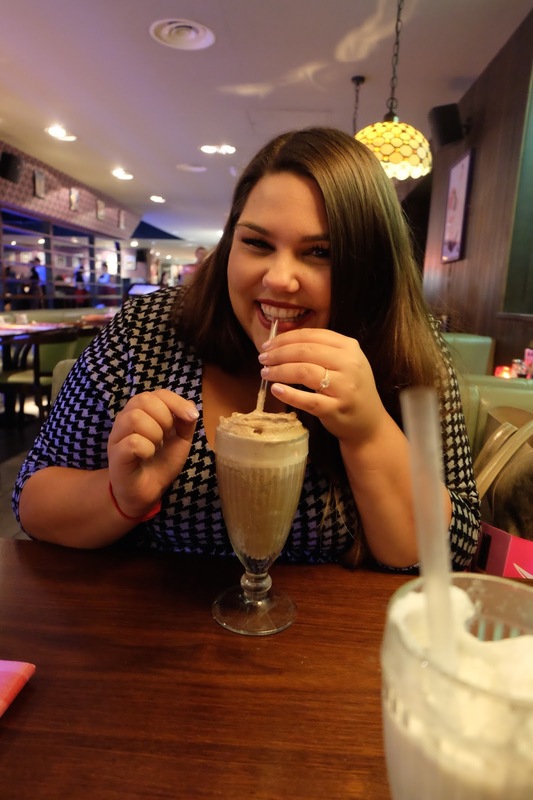 Living in London means that I get to go to some pretty cool events, restaurants, shows etc and I thought that it might be nice to start showing you guys what I get up to. Before I start bashing out posts about restaurants and cool, quirky spots in London; is this something you'd be interested in seeing? I apologise if you answered 'no' to the above question as this post is going to be all about one of my fave spots in London. Gods Own Junk Yard is literally heaven on earth for me. I enjoy tat, vintage stuff and OTT interiors and this place is just the BEST PLACE EVER. Hidden away on an industrial estate in Walthamstow, North London GOJY is basically a big warehouse, full of vintage/retro lights and tucked away in the corner is a wee cafe where you can sit amongst the flashing lights and sip on prosecco/tea/beer. The lights are for sale but they carry hefty price tags; I wish I could fill my house with them!! I'd have them in every room. I recently went with my best friend for an afternoon drink and obviously I took a thousand pictures of the decor. Who could blame me though? It's just so exciting in there because there's so much to take in and look at! Here are some of my favourite shots from the day and hopefully they'll inspire you to take a peek next time you have a spare hour or two in London. I really want to do a proper outfit post here, how good would that be?! 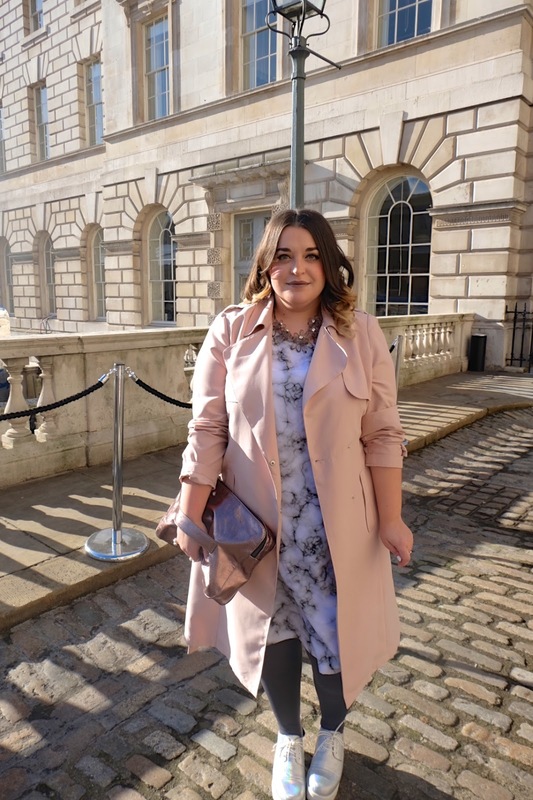 So, I had a taste of London Fashion Week in February and I was instantly hooked. I then received an email from Talented Talkers offering me a ticket to go to London Fashion Weekend with George at Asda. As a fan of this supermarket clothing range - I of course accepted the invite! 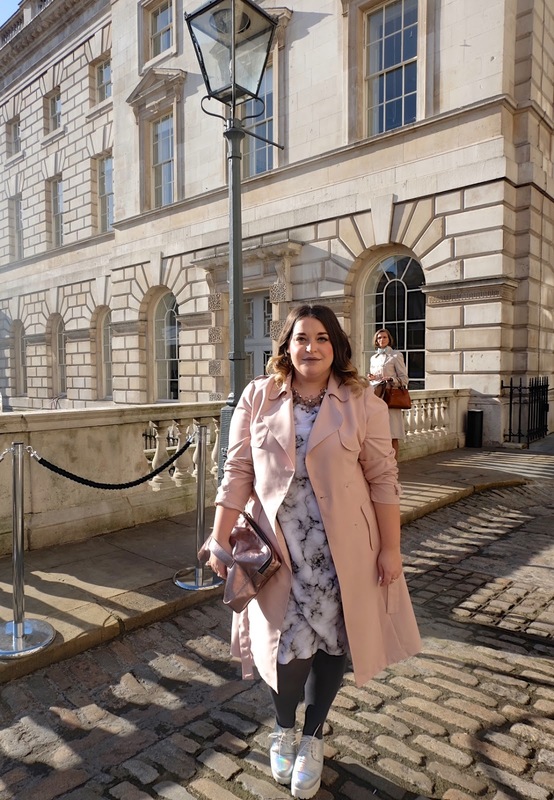 We spent the day browsing the fashion, accessory and shoe stalls which were spread out through out Somerset House and we also got to see a Trend Catwalk and a Designer Catwalk. The Trend Catwalk showed us the main trends we can expect to see this Spring/Summer (Hyper florals, monochrome, metallics & seventies) and we also watched the Jean-Pierre Braganza SS15 catwalk which was phenomenal. 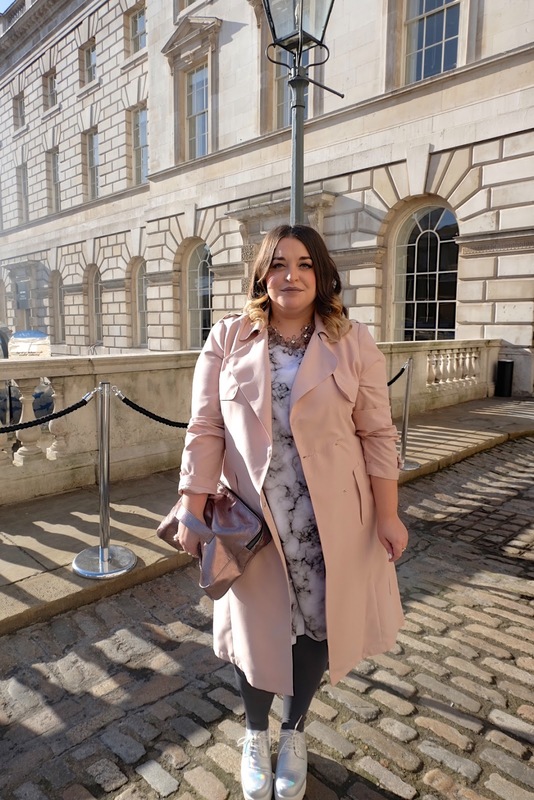 As a treat George gifted me some lovely bits to wear and I chose to wear this beautiful dusty pink trench coat on the day. I teamed it with my marble print dress from Ellipsus, holographic shoes from Vagabond, grey tights from Autograph at M&S and this excellent clutch bag from ASOS. I had a brilliant day and it's actually a really nice day out. Anyone can buy a ticket for the weekend event and it's a great way to get a taste of London Fashion Week! Thank you very much for taking me George! *This post is written in association with George at Asda; but all views are my own. For Spring Summer '15 many designers looked to the 70s for inspiration and right now the shops are brimming with suede items, fringed pieces, orange/browns and pinks and even the flared jean has made a come back! 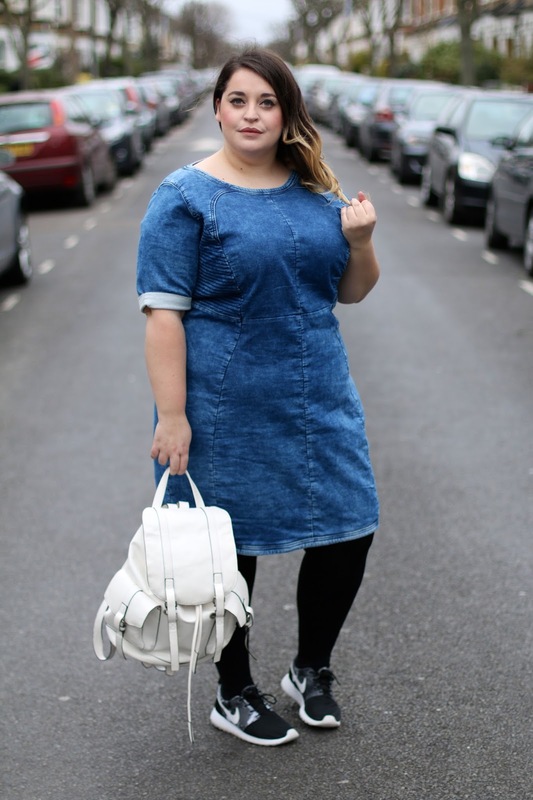 Sometimes, it seems like the world of plus size fashion is always on the catch up. I've noticed it can take a lot longer for main stream trends to hit the rails for us bigger girls and that is such a shame! I am happy to say that on this occasion though; many of the brands I shop in, are stocking lot's of 70s items! Hurray! When a trend as broad at the 70s turns up, it can be hard to know exactly what you should be sporting and how to accessorise your look in the best way. 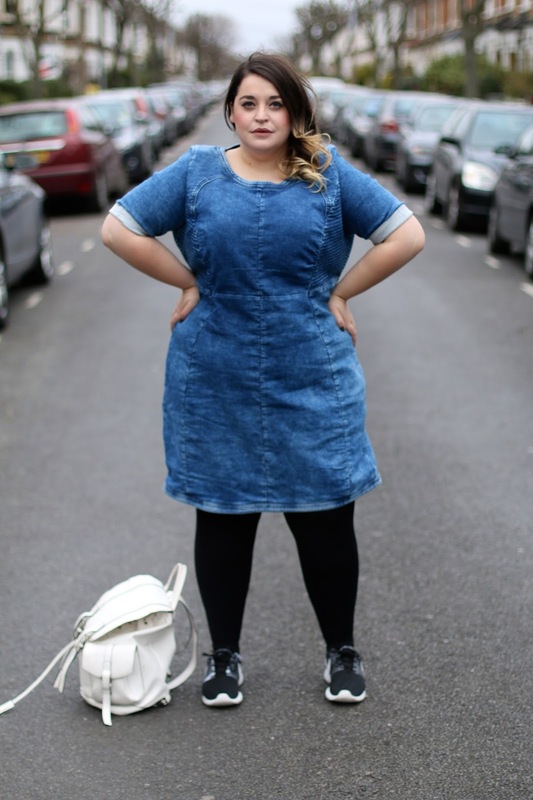 It can all be a bit daunting so I decided to break the trend down into catagories using predominantly plus size clothing and lots of fun shoes and accessories. If you like the look of an item, simply click the orange square next to it and it'll take you directly to the correct website. What do you think of this trend? Will you be trying out some of these looks? Khaki has always been a fashion classic and it has been a staple on the fashion circuit for years and years. Last year we saw designers such as Chanel, Marc Jacobs and Ralf Lauren sending khaki, military and utility styles down the run way; showing us how easy it is to wear these particular trends. Spring/Summer '15 trends are in full swing now and it only takes a minute of browsing online to see that there is a lot of khaki out there. I spotted this beautiful shirt and when I tried it on; I instantly knew how I was going to style it. Last year I saw Kim Kardashian wearing an entire Balmain look (here) and became OBSESSED with it. The mix of leopard print, green, gold and dark lips got me hooked! I loosely wanted to recreate her look - and voila here it is! I picked up this leopard print skirt from Missguided+ (similar here) and teamed it with a wide belt from ASOS Curve (similar here) & added some military style collar tips which I bought from ASOS. I haven't worn a wide belt for about 55 years *slight exaggeration* but I enjoyed it I must say. The fabulous mules are from New Look and I like how the gold details further add to the military vibe by looking similar to bullets. 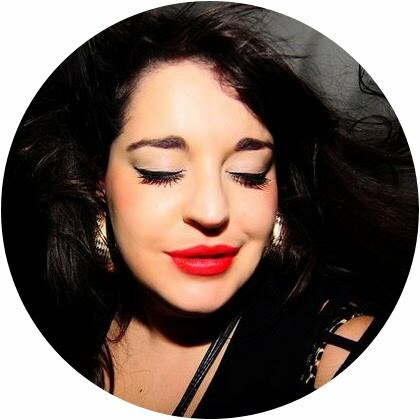 My bag is an old H&M purchase (similar here) and I finished off the look with a dark red lip. A few weeks back, Kim K chopped off her hair and rocked a side parting so I thought I'd do the same so that I could really channel Kimmy K vibes. I just wish I had her bottom because that would have really finished the look off! As you can see from my photos, I am also fully embracing the VBO (visible belly outline). Many of us feel self conscious by our tummies and some times I try to wear styles that conceal it. I don't even care that it stands out in this outfit though because a) why try and hide something that is obviously there and b) I'm cute, belly and all!